The Royal Navy operates on the sea, under the sea, on the land and in the air. Welcome to the Fleet Air Arm Museum - representing the flying arm of the Royal Navy. Since 1964 the Fleet Air Arm Museum has been collecting material relating to the Royal Naval Air Service, the Fleet Air Arm and its context within naval aviation in general. The Museum now holds many thousands of objects ranging from complete aircraft to individual medals, photographs and documents. The collections are of international significance and cared for to the highest museum standards. 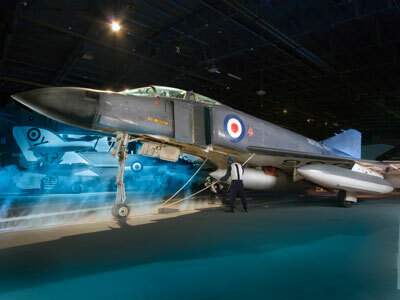 Learning for all schools, colleges and universities is core to the work of the Fleet Air Arm Museum. The Museum has an exciting and informative learning programme, with workshops designed to suit the needs of every Key Stage. 2nd November 2015 until March 2016.